Collect 3 birds to trigger 10 free bonus games. Collect 2 eggs to trigger x2 multiplier or 3 eggs for x5 multiplier! 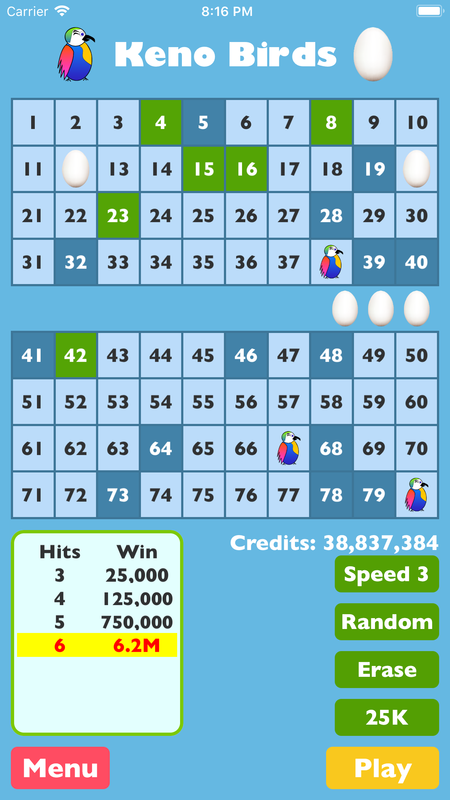 Collect up to 5 eggs to multiply your bonus winnings. Multiplier applied after all free games are played for maximum winnings! ​No real money is required. Unlimited free credits are provided every time you run out with no waiting. Additional credits can be purchased, but do not increase your chance of winning. No real money can be won, as this is 100% simulated gambling.